This very timely essay and guide was submitted by nutritionists, Kelly Wilson and Paula Martin from Taste the Local Difference (TLD). Please read on and watch for the links to many useful resources. Eat Less Meat. The majority of the meat we eat in the US is produced on factory farms which contribute significantly to CO2 emissions and water pollution. Globally, livestock for meat and dairy production accounts for 18% of the world’s greenhouse gas emissions; more than every single car, train, and plane on the planet (2). Health permitting, go meatless 1-2 days a week. The Meatless Monday campaign is a great resource. When you choose animal protein: 1. Choose less red meat and more fowl (chicken, turkey, duck), eggs, rabbit, pork and fish; 2. Choose fish approved by Seafood Watch; 3. Talk to your farmer about their grazing practices. Choose animals raised on holistic, rotational pasture systems. 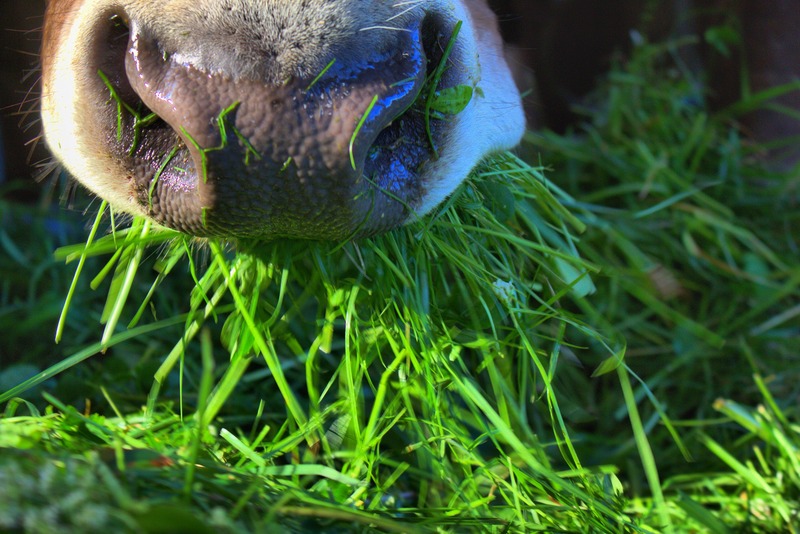 Properly managed grazing systems can improve carbon sequestration. 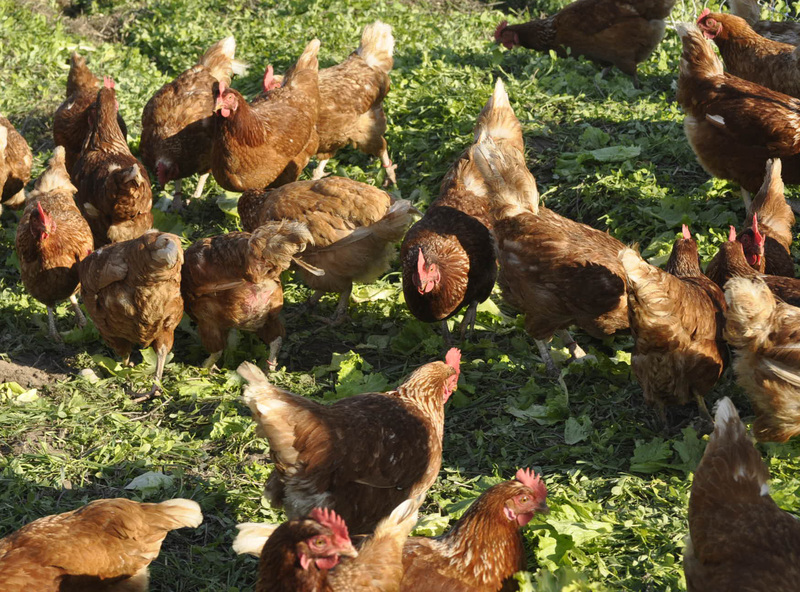 Advocate for food policies that discouraged concentrated animal production. Reduce Food Waste. 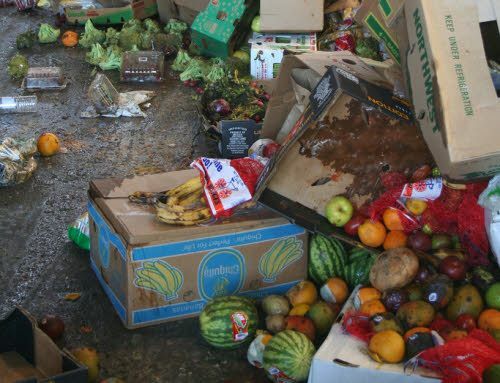 Globally, food waste is the top greenhouse gas emitter behind the United States and China (3). 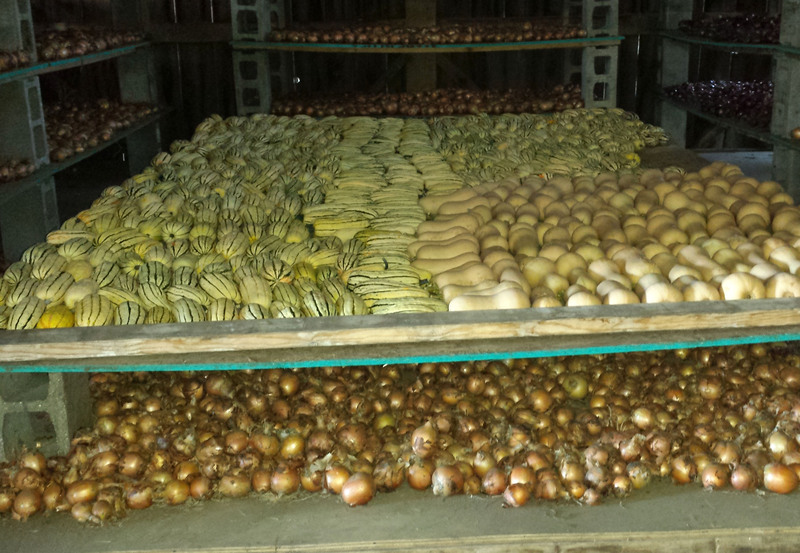 In the US, we waste 40% of the food we produce. Plan meals and stick to your shopping lists. Buy smaller amounts of food at a time. Freeze, can, or preserve extra produce and leftovers. Learn more about “sell by” and “use by” dates here. Some foods are still safe to consume after these dates. Eat Locally, Seasonally. 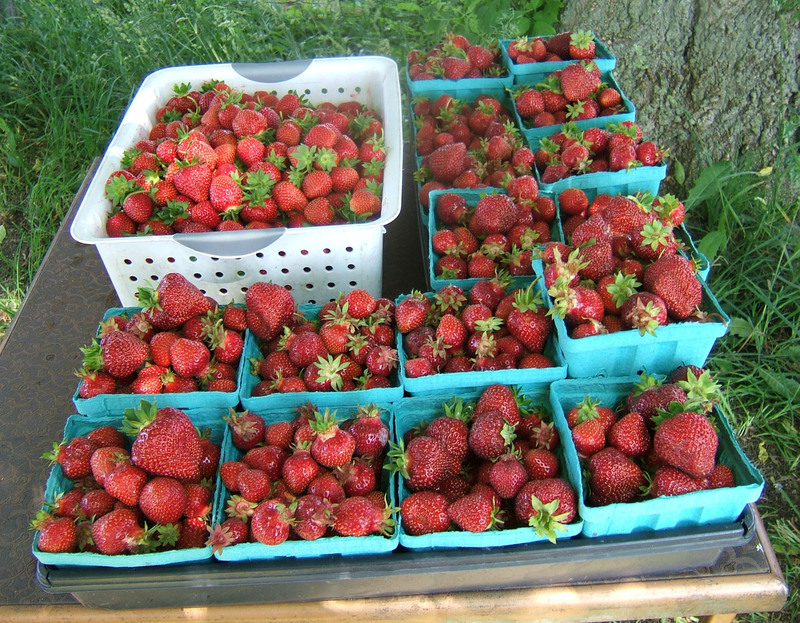 Most fresh produce eaten in the Midwest travels nearly 2,000 miles before it is eaten. Trucking accounts for 41% of the transportation related greenhouse gas emission in the US (4). The Leopold Center (Iowa) concluded that increasing Iowa’s consumption of regionally grown fresh produce by only 10% would save more than 300,000 gallons of transportation fuel per year (5). Additionally, local food purchasing improves farm viability and the well-being of small farmers. In conventional production models, farmers only receive $0.16 per dollar spent. When purchases are made directly from a farmer, they keep the whole dollar. When a locally or regionally produced food option exists, choose it. Demand that retailers stock more locally and regionally produced food. 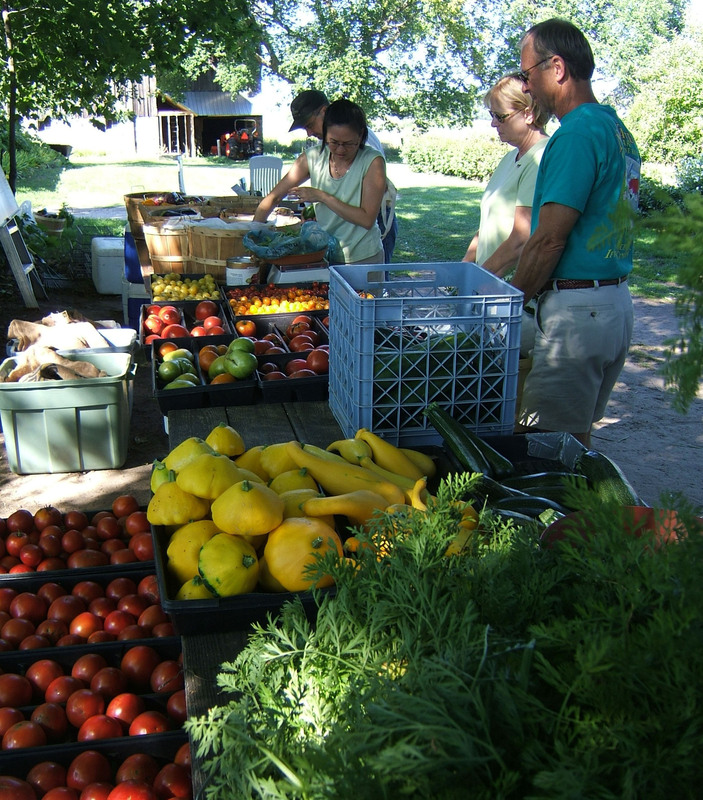 Join a CSA (Community Supported Agriculture) Program or shop at your local farmers’ market. Need to find local food? Check out this resource. Support Farming Practices that Preserve Soil Health. Soil mismanagement is a key contributor to US greenhouse gas emissions. Cover cropping, composting, crop rotation, reduced tillage, and lack of synthetic inputs (chemical fertilizers, pesticides, and herbicides) all build soil health, reduce erosion, contribute to healthier plants and lead to improve carbon sequestration. Talk to the farmers you purchase from about their growing practices. Purchase your food from farmers with a strong commitment to building soil health. Advocate for policies in the Farm Bill or other legislation that encourage soil conservation and building. Kelly Wilson is a Registered Dietitian Nutritionist and SE Michigan Local Food Coordinator for Taste the Local Difference. 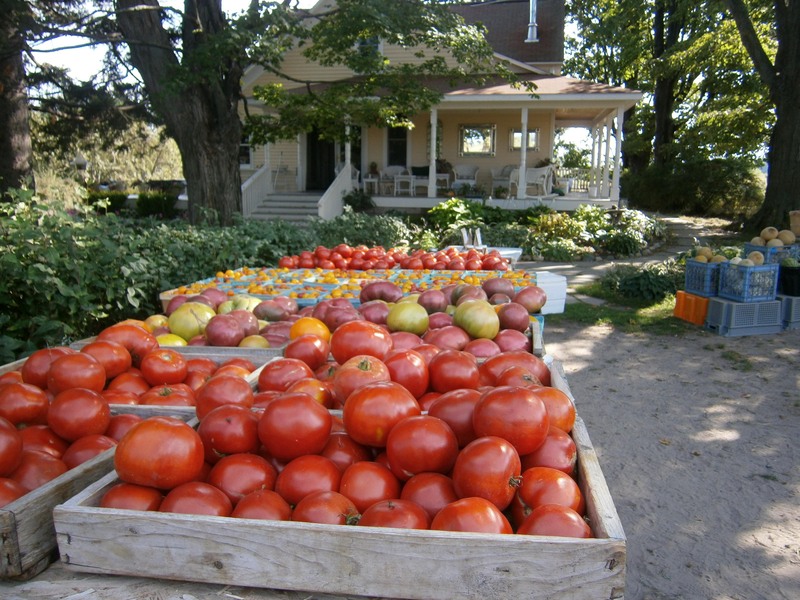 She also operates a sustainable vegetable farm (Simple Gifts Farm) in Oxford, MI. Paula Martin is a Registered Dietitian Nutritionist and Health Coordinator for Taste the Local Difference. She is passionate about Culinary Nutrition and recently organized a Traverse City conference on the topic. Love the meatless Monday. Reminds me of the Catholic fasting from meat on Friday’s, but these are better reasons.